Yep, it’s all going down tomorrow, Tuesday, May 8th! Entertainment Weekly shared a bit of a conversation between the Russo Brothers and Donald Mustard, the worldwide creative director of Epic Games. We are HUGE fans of the game AND the movie so we are PUMPED for this to launch tomorrow. We shall have our “DO NOT DISTURB” sign outside the office tomorrow as we desperately try to become the mad titan. 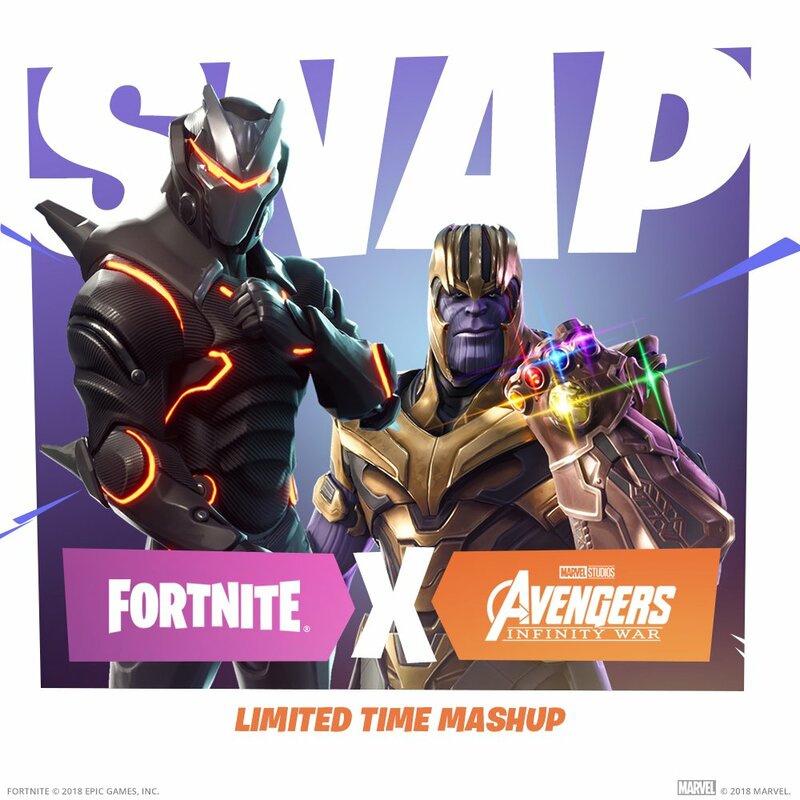 This entry was posted in Marvel, Movies, Video Games and tagged Epic Games, Fortnite, Infinity Gauntlet, limited time, Marvel, mashup, Russo Brothers, Thanos. Bookmark the permalink.